How much time do you spend preparing for a conference? Usually, a conference takes between one or three full days. Many affiliates attentively checklist the main speakers in advance, and understand with whom they want to meet, communicate and ask questions. At this point, the majority stops. But here is the first secret of a conference, maximum results will get who will be better prepared BEFORE the event. Don’t forget to take into account time for visas, tickets, accommodation and transportation preparation. Who are you? Affiliates, an employee at a traffic source, affiliated network or business owner? Each of them has his or her own aims coming to a conference. So, the preparation for the conference will be different according to who you are representing. There are three important aspects in preparation for a conference. This is the chance to test an idea and present it in front of a wide range of people. There will be lots of participants, and all of them have different backgrounds; they won’t feel uncomfortable to say that they don’t understand how your product works or why it is necessary. New contacts, partnership possibilities with local and international partners, getting to know investors and “in crowd” people. You never know who will benefit you in the future. 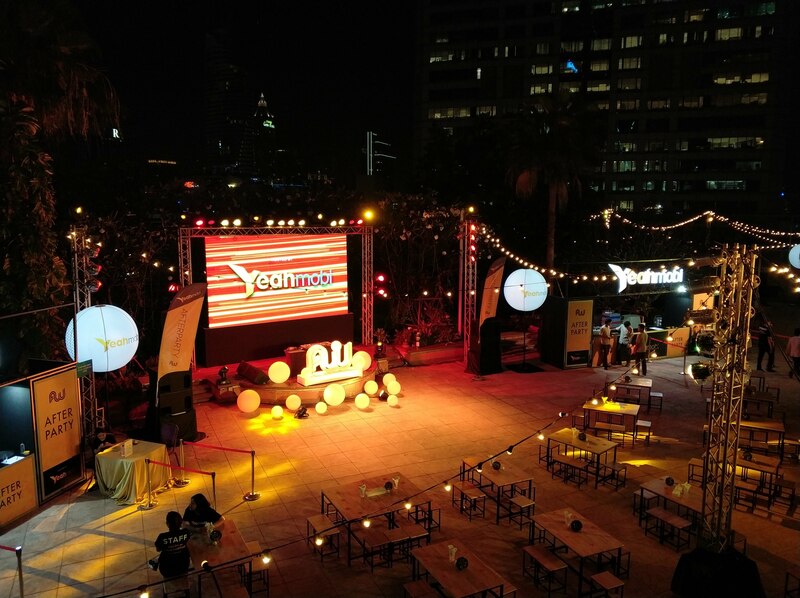 Participation in your business oriented event is a good possibility to tell people from your field about yourself. Important. Examine all speakers who are going to be presented, study all presented affiliate program and traffic sources. Use this information during personal communication, sometimes small details or interesting facts about your interlocutor can draw you together in the course of collaboration. For instance, on one conference there was account manager from a big partner company. All who work in this affiliated network get their payments depending on conversion volume. Usually, this is net 30. We had information that this account manager was a musician and in his spare time, he performed in public with musical sets. In our conversation, we mentioned that we had seen his performance live and named one of his tracks. After our conversation we transferred to payment in net 7, irrespective of our conversion volumes. Minor detail and some information about our interlocutor helped us. But it doesn’t always work. — Hi, tell about yourself. What are you doing? — Interesting, and what is so special for you in popunder traffic, while everyone is switching to cryptocurrency and Facebook? — Everything is much easier with popunder traffic. Plus, I have extensive experience with it. You should select an offer, and if it works, we take it and test others offers. Lots of traffic sources tested and chose popunder. With this answer, you will be forgotten approximately in three minutes. Three minutes, this is actually the time when your interlocutor can meet other more interesting and prepared participants. That is why we recommend preparing a few templates of self-presentation in advance. Example. After you finished communication with a person, write on the back side of his business card his main interests or topic of your communication. This way you will remember this person much better, and also, during the next conversation, you will be able to start it as a continuation of the previous one. 2. Show your interlocutor how you can be useful. 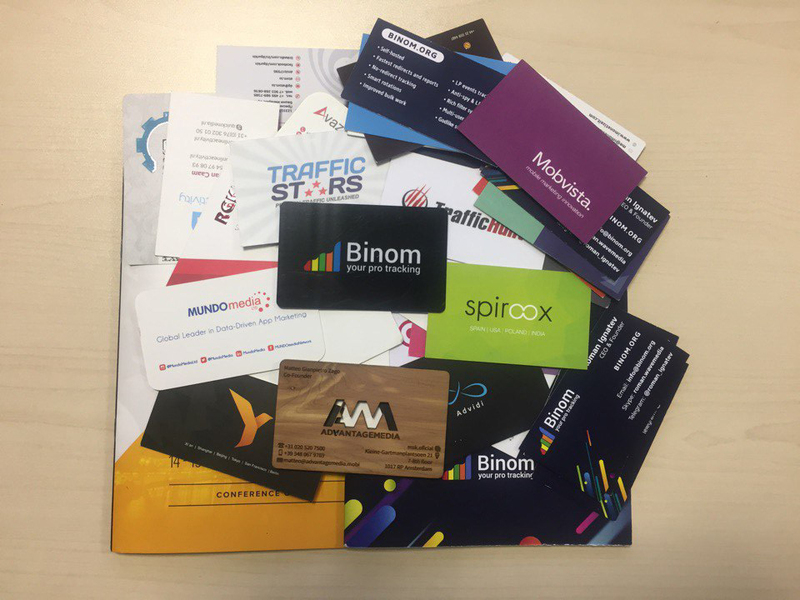 Again, it is desirable to have a few business cards for each targeted audience and tasks. 1. If your business card has a photo it will be easier for people to recall you. Launch a contest before the actual conference begins. The buzz will be spread through conference participants. For example, it can be an annual subscription to your service. Plus, draw a prize at the conference end or do it later with the help of social networks. Prepare hand-outs for your potential new clients as well as those who already use your services. Do something creative and interesting. Reactions should be viral, presents must lead customers to your booth by themselves. At conferences, we’ve noticed how many affiliate programs, traffic sources, and services are fighting for the attention of conference attendances: mass media, investors, speakers, affiliates. Obviously, within such a variety you need to be distinguished. We were surprised at how many people had limited themselves by just putting a monitor in a booth and opening in a browser their application or site. Here is some advice, what shouldn’t be done if you are just planning to participate in conferences in the future. 1.Don’t rely entirely on the presentation of your product. If this is an international conference, there is no point in expecting people to attend your booth and know everything they should about your product or service. Most often they need visual examples and a personal conversation. Conclusion. You should show and visualize as much as possible. Presentation, demo-video, banner near your booth – you need it not only to draw attention, but also to facilitate the understanding of your service, partner campaign, and traffic source. 2. Do not underestimate the power of a good presentation. Put yourself in typical arbitrageur’s place. The whole day he/she is walking from one booth to another. It is difficult to memorize and stand out someone from all the big choices in affiliate programs and services. Conclusion. If you can’t create a cool presentation by yourself, let a professional do it. If you already have presentations, test them on your acquaintances. 3. Do not attend conferences if you are not ready. You will just lose money and won’t bring new users to your partner campaign or service. Conclusion. If you did decide to participate, explain to your team how important it is to be ready for conferences; record a live-demo, order branded t-shirts, print banners, etc. Inspire your team to make participation in conferences part of their work for product promotion, and not disturbing factor. Demonstrate your product on real example. Let customer understand “how it works”. Show what client problems you can solve and how you can help him/her. At the last conferences, it was very convenient to use stickers showing your business logo. Don’t forget to get your badge from the host of the conference and stick it to it. This way it will be much easier for your interlocutor to understand who you are and what you are doing. 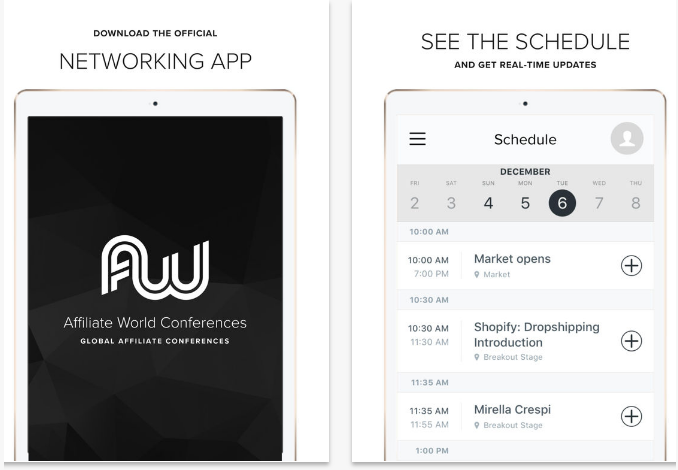 The conference hosts created an application for those who attend conferences. The Berlin conference experience shows that such application really helps making agreements with partners regarding near which booth you can have a chart or to tell about your product. As a result of previous conferences, we managed to attract a potential audience to our product. — We were able to show how the tracker works, start tracker up to show how campaigns work in real time. — We received 40 registrations for the tracker. — 170 posts were made about us in social networks. — Campaigns outreach made 1000 unique users’ responds to messages posted by participants (likes, comments, retweets, and reposts). 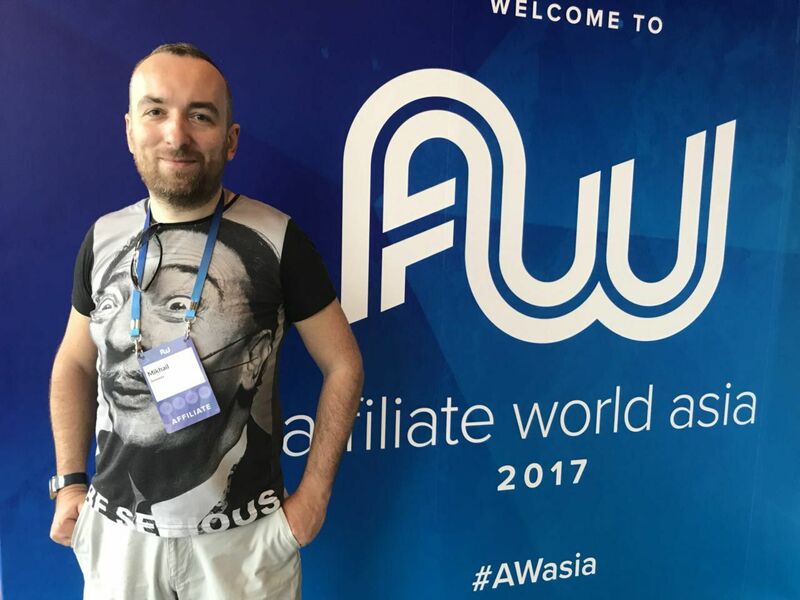 — Excitement near our booth attracted international speakers, mass media representatives and other partners on affiliate marketing market. — We collected a new base of potential partners and users’ business cards. — We received lots of clients’ feedbacks; we were able to personally meet our service users. We are doing our best to improve our service for them. After each conference don’t forget to process all the information and structure it. Ex: If they are an affiliate program or service. Count how much it cost to get marketing meetings with your potential clients. For instance, you can make a database of business cards and add to them how and where you all met at the conference. In the end, a long-awaited bonus for our readers. 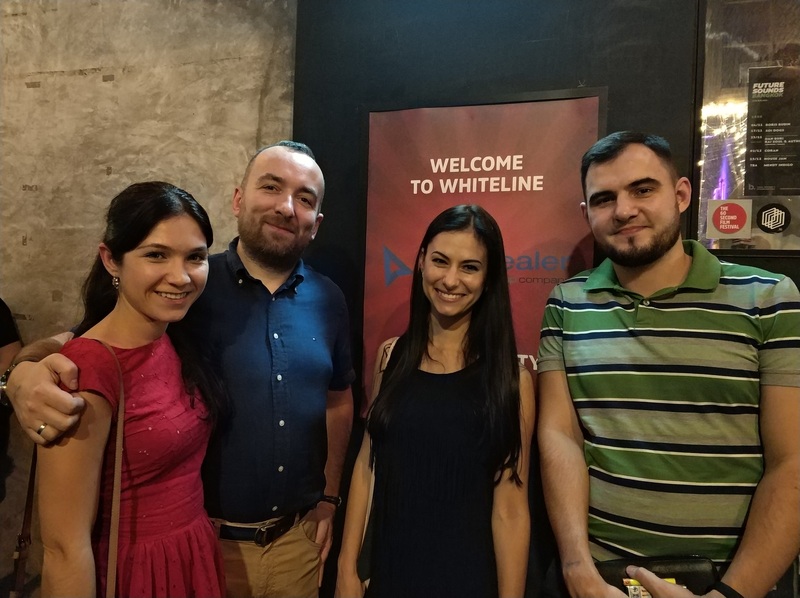 Shortly after the conference in Bangkok, we received some information from participants Michael Entropia and Alex Black. Hi Mikhail, please tell us about yourself and what are you doing? I do arbitrage alone and work with international traffic. Starting in the fall of 2016, I’m proud to be one of the forum DEFO administrators. Not so long ago it became of the hottest conference. 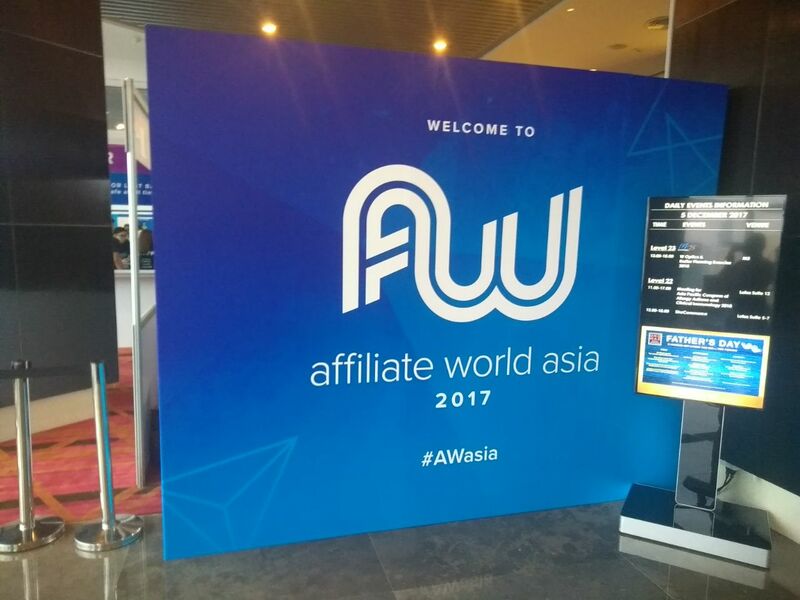 Please tell about your trip to Affiliate World Asia 2017. Did you plan it ahead of time, or it was an impulsive decision? We planned it approximately one and half month in advance. Actually, I don’t like to commit myself to distinct plans that far in advance; but in this case, I kind of compromised my integrity. Once I got to know the dates and saw it came into the spotlight, I understood right away that I had to be there. It seems that everyone was talking about it at Defo and CPA CLUB, and partners from source and affiliated program sides. 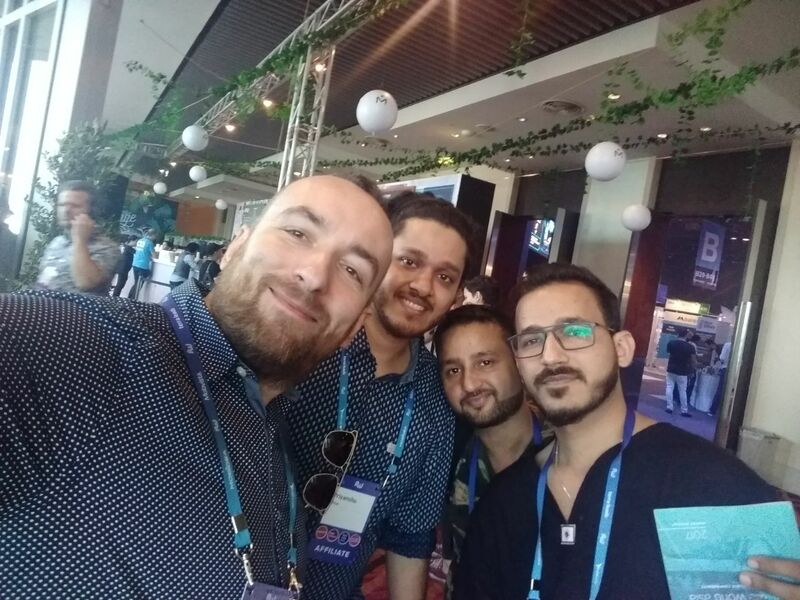 I had the absolute impression that “everybody” will be there, and this is a great opportunity to meet simultaneously with three categories of people: my current partners, potential partners and just with like-minded persons. As you know, one truly shouldn’t underestimate the value of face-to-face contact. The final straw was the words of one Account Manager «Man, you f@cking must be there.». 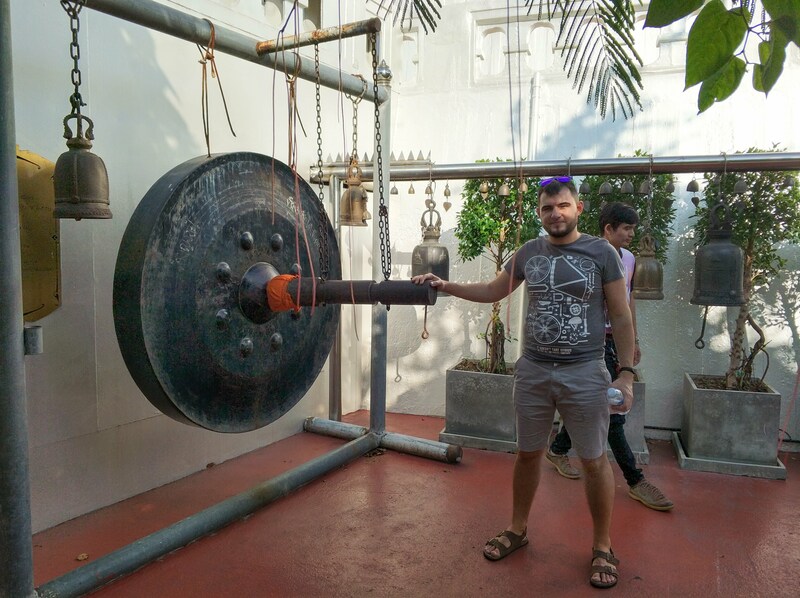 What are your impressions about Bangkok? What do you think about it? Have you been there before? It was my first time to Bangkok, although I’ve been to Thailand before. In my opinion, the city is extremely bright, charismatic and picturesque. It is a huge Asian metropolis with a unique atmosphere you can only feel if you visit it. Well, New York Manhattan seems like a modest suburb comparably to Bangkok city center. 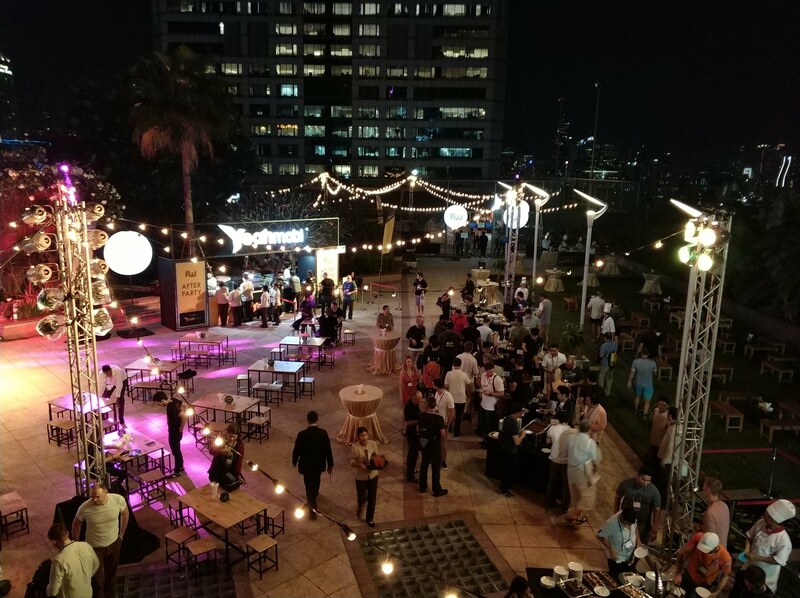 Lots of arbitrageurs consider Bangkok conference as the coolest one from the STM forum, do you agree with it? I have nothing to compare it with, this was my first visit to such scale international affiliate conference. I didn’t go to Berlin in the summer. But probably this is true, as I’ve heard the same in reviews. Was it worth the funds spent? Definitely. But I don’t think we should limit value of conferences by just considering “information”. It is not information by itself, it is also communication, meeting people, the atmosphere, and inspiration. How did you prepare for the conference? Did you prepare a list of people you want to talk to or to meet? I tried not to limit myself to strict time limits, but yes, I did create a list of people I wanted to meet with. Did you have the possibility to listen to the speeches of other speakers? Networking was taking place simultaneously with speeches, that is why I didn’t listen too much. 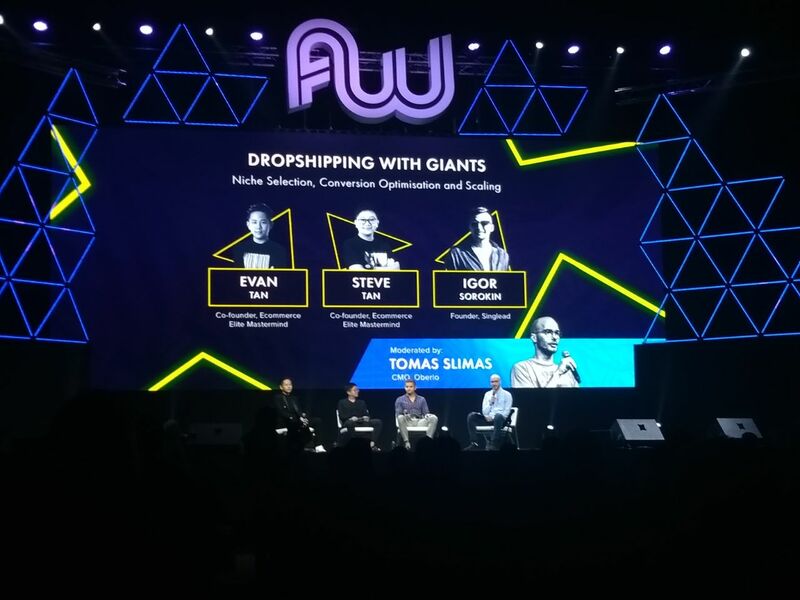 I paid attention to the roundtable about dropshipping where Hardwork participated. Also, I attended a panel discussion about CPI trends. Caught part of brothers’ TAN speech about Shopify / Facebook. Have you observed any innovations in the affiliated marking sphere, as new rotation systems or new services, optimizers? As I remember, there weren’t any extremely new players of B2B market specialized in affiliate marketing. Thank you, Michael, for your answers! Wish you in the future to continue development and scale new heights in the affiliated marketing! Hi Alex, please tell us about yourself and what are you doing? Hi, I’m one of the confounders of the project а sourceryads.com. This is the service of ad views mediation. We make development in the sphere of our publisher’s effective traffic monetization. We work with redirect, pop, in-app traffic. Also, we successfully monetize remnant and back traffic. Hi, no, it wasn’t an impulsive decision. Currently affiliate market is moving to a higher level, and if you want to succeed in this sphere, you should prepare yourself thoroughly. We started preparation 2-3 months before the trip. What are your impressions about Bangkok? What do you think about it? Is it your first time here? 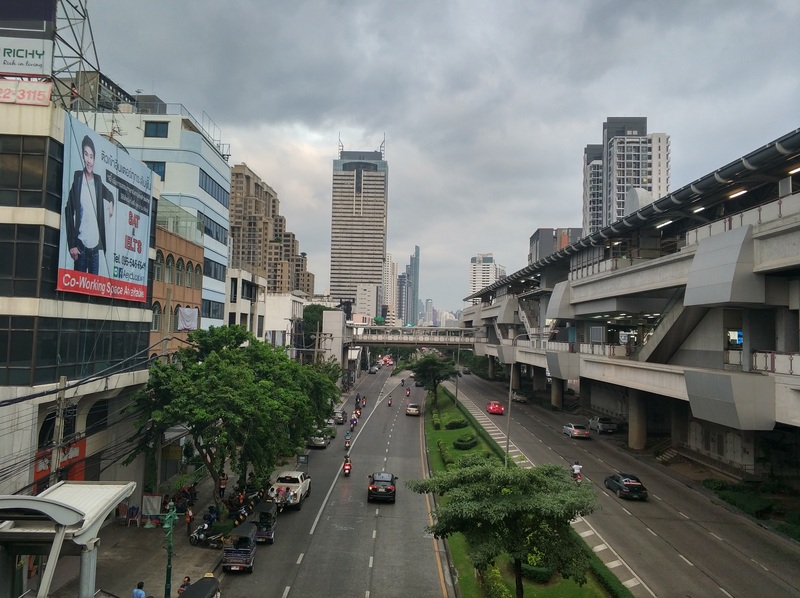 It is not my first time in Bangkok, the city is cool, last time I was there 5 years ago. The city has changed very much. At least 30-50 new skyscrapers were built. The city is alive, traffic is non-stop. Lots of traffic jams. I think everyone understands what is Asia, its climate and how many people are there. But the city is definitely worth visiting if you are in Asia. Yes, I do agree! Probably, Bangkok conference is three times bigger than the Berlin one, which is held in summer. This year there were 2650 people, two days of speeches and on the 3rd day, they created e-learning via Facebook. Next year in Barcelona will have additional education about e-commerce. But we didn’t attend educational programs, we came here for networking and were dedicated to it for two days. The conference is huge, there were lots of people, everything was worthy, I would say AMAZING! In your opinion, which trends are expected in affiliate marketing in 2018? In the conference everyone was talking about Facebook and е-commerce; but as we don’t do it, this wasn’t interesting for us. So, we settled with our directions and concentrated on our tasks. Good question, actually yes, unless taking into account money spent on booze, yes it was worth the cost. We had an opportunity to communicate personally with lots of people. It was very nice to discover that people know you as well, know our partners. We were immediately recognized by big traffic sources like Exoclick and Popcash, another affiliate program as Yepads, Gotzha, and ClickDealer. We gave a lot of presents, touched base. The atmosphere was very positive, lots of people made photos with us, and it really flatted us. Yes, absolutely. A month before the trip we made arrangements regarding meetings, scheduled all meetings in google calendar. At the conference, our day was scheduled from the morning to the evening. We made only one lunch break during the day. the rest of the time was spent on communication and searching for new partners. The most important is to devote to each partner no more than 10 minutes. If we talk about results, we accomplished 80 percent. 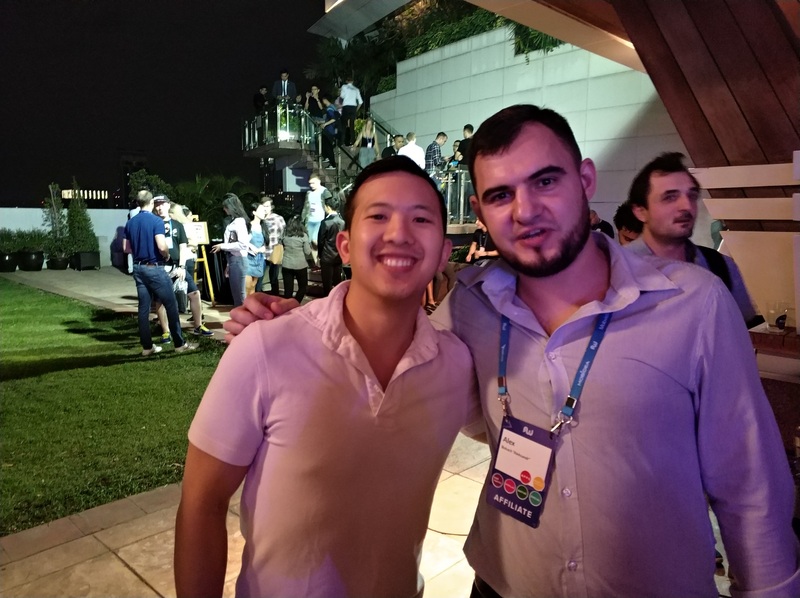 I have information that at the pre-party you had a drink with Charles Ngo. Did he tell you about any cool case? Unfortunately, not. Actually, we have different working verticals and directions, that is why we didn’t talk about work. Now he is very actively promoting blockchain from STM. One of two came to make a selfie with him. Please tell me about your impression about past conferences, how is it different from Russian conferences and why? Firstly, this was another level, there were lots of Chinese and Indian people. Mainly half of all booths were owned by Chinese partners, their presence is very high in the affiliate market. I think the Moscow conference will expand next year. It is promised to be held in a new place with new speakers, but we have a long way to go to reach a level of such conferences such as the Bangkok one. Which speeches were you able to listen to? Regretfully, I didn’t attend any speech. I really had no time to listen to, everything was planned out by minutes, as we had clear aims for the conference. 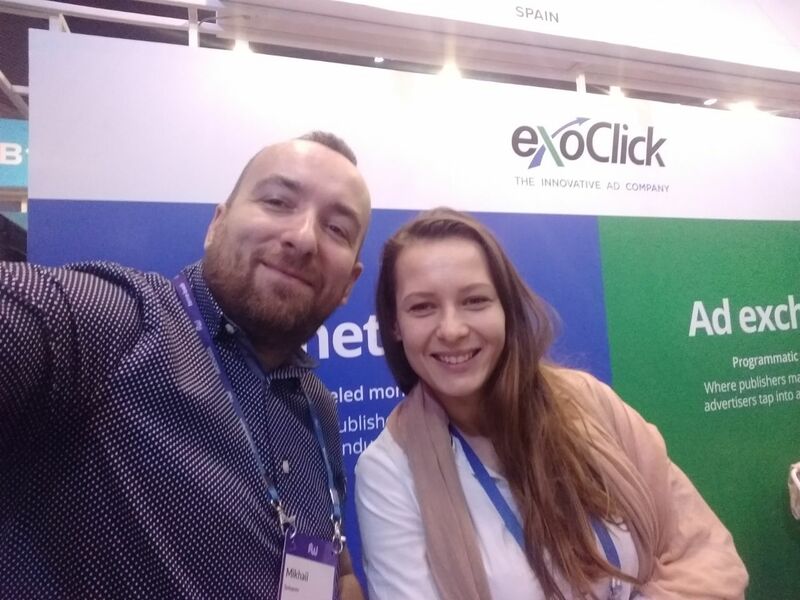 We spent our time with the most important part of the affiliate marketing, networking. And after the conference, those who bought tickets received the link to each speaker with his or her speech. So, you could easily watch a recording of it. We speak a lot about networking at conferences, could you please tell some successful examples? I want to give good advice to all who attend conferences, no matter if this is for affiliate programs or traffic sources. For them, personal contact is very important, and they will treat you differently if they have got to know or have seen you before. Of course, managers we work with didn’t attend it, but we could communicate with superior people. Some questions which we had to solve for weeks before, now are being answered very quickly and efficiently. If we consider successful examples, we made arrangements regarding a penalty payment which an affiliate program laid on us, and it was about $9k, so during a personal conversation, we agreed to return them back. Another example, I had an old account in one of the traffic sources with quite a decent amount of money in it; it had been banned, and we arranged its unbanning thanks to personal conversation. All this became possible only thanks to a personal conversation and direct contact. To sum up, I can say for sure, the conference and the trip was worth it. Thank you, Alex, for your answers! I wish you and your service successful development, achievements and green numbers in tracker!